The Latest on Sales in the Marina! 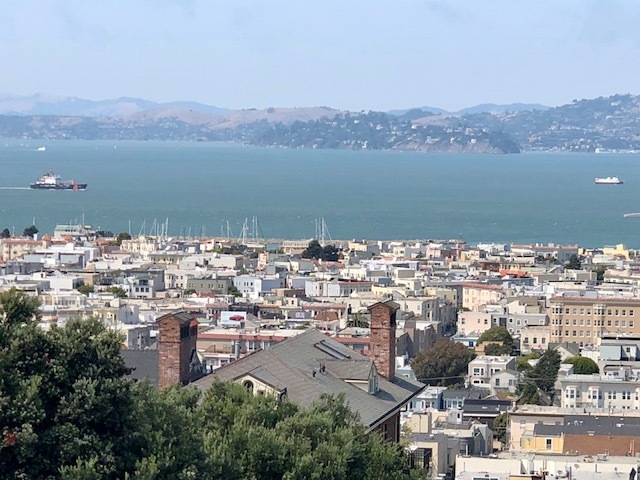 When I first moved to San Francisco in 1987, I looked out at the Marina from the top of Fillmore Street in Pacific Heights. I was in awe of the pastel colors of the homes in this neighborhood overlooking the Bay. It could have been a Mediterranean fishing village. Chestnut Street at the time had a number of local shops but no chain stores. They were still to come. The place to go at night was “the Triangle,” which was comprised of popular bars on three corners for the 20-something set, a known hangout for the fraternity and sorority crowd. Two years after I arrived, the ’89 quake struck. I still remember the fires that ravaged parts of the Marina but what surprised me the most was how quickly it bounced back. While Chestnut Street has become more upscale, the pastel homes overlooking the Bay are still there. One of my favorite spots in the Marina, Crissy Field, is one of SF’s most beautiful areas to walk along the water. It was restored and opened to the public in 2001. It has become a popular tourist destination. According to the Multiple Listing Service, 24 homes have sold in this neighborhood over the past year (ending August 13, 2018) at an average price of $3,942,053, up from $3,411,192 in the prior year. The highest and lowest sales prices in the past year were $6,200,000 for a 4004 square foot 4 bedroom home and $2,000,000 for a small 3 bedroom home. The average time on the market for these homes has been 27 days this past year, much less time than the prior year’s 34 days. Volume is down slightly with 2 fewer homes having sold this past year than the prior one. Over the past year (ending August 13, 2018), 57 condos have sold in this neighborhood at an average price of $1,717,865, up over $100,000 from an average of $1,583,331 in the prior year. The highest and lowest sales prices in the past year were $3,550,000 for a 4 bedroom condo and $645,000 for a studio. The average time on the market for these condos has been 22 days this past year, again, much less time than the prior year’s 38 days. Volume is again down slightly with 2 less condos having sold this past year than the prior one. The Marina is behaving similarly to the overall San Francisco market. Properties have been selling more quickly for more money in the past year than in the prior one. Once again, buyer demand continues to be high and inventory is not keeping up with that demand. In a heated market like this, it is important to hire an agent who knows the neighborhood and keeps on top of properties coming on the market or being sold off market. In addition, if you know of anyone who is considering selling, definitely give me a call since it still looks like a good time to sell! Previous: Is the SF Real Estate Market About to Crash? Next: Helping First Time Buyers Prevail in SF!